Home › buyer › Would You Like to Increase or Decrease Your Living Space? Have YOU Consider Selling Your House in Southern California? Many people find themselves wanting more space at home or needing to change their address for whatever reason (downsize living space now). In this situation, homeowners are trying to sell their current home while they look to buy a move-up home. Timing is everything, and it’s important to know what your options are before making any final decisions. The first, and most important thing to do, is to get your current home in tip-top shape for the market. It is difficult to get qualified for two mortgages – even more so in a slow market. By carrying two mortgages, you will be able to buy a second property before you have sold your first home. The more common situation is to sell your current home and rent for a short period until you find your new home. Whether you qualify for two mortgages or not, your current home needs to be ready to sell. Meet with Melody Pike and get a current value on your home. It is also a good idea to have the condition of the home checked by a professional and make any needed improvements or renovations. The transition of selling one home and buying another can be overwhelming, and it is important to contact a lender immediately when you are ready to move forward. If you don’t have a lender, contact Melody Pike for suggestions and recommendations. For a free Comparable Market Analytical (CMA) for your home, please feel free to fill out the form online or call me. Thank you for visiting my website. For other seller information and ideas sign-up for my monthly newsletter or blog feed to the right of this page near the top. (Subscribe to my RSS Feed). Would You LikeWould You Like to Increase or Decrease Your Living Space? Have YOU Consider Selling Your House in Southern California? to Increase or Decrease Your Living Space? 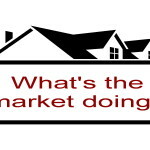 Have YOU Consider Selling Your House in Southern California? 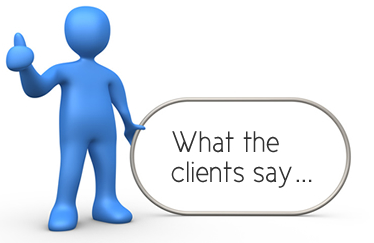 Click on the photo to see what my clients say!